Bandai Namco Games has released new information on the upcoming PSP game, Digimon Re:Degitize. The game will be released to commemorate the 15th anniversary of the Digimon series. Let's have a look! The game will have a multiplayer mode where you can have up to 4 people fighting a free-for-all, or a 2-on-2 battle. Players can register their personal Digimon to use for multiplayer purposes, before they die (yes they die from battles, diseases, and old age). There is also a co-op mode where you can fight a stronger boss together with other players. In this game mode, you will be able to find other Digimon tamers to fight against outside of the story. There, you will be able to go against two characters from the first animated Digimon series; Tai and Sora. Each character will be using their respective Digimon that they were with in the anime. Certain items and Digimon cannot be obtained unless these characters in the colosseum mode are defeated. Aside from new game modes, a list of some of the Digimons that will be making an appearance in the game have been released as well. 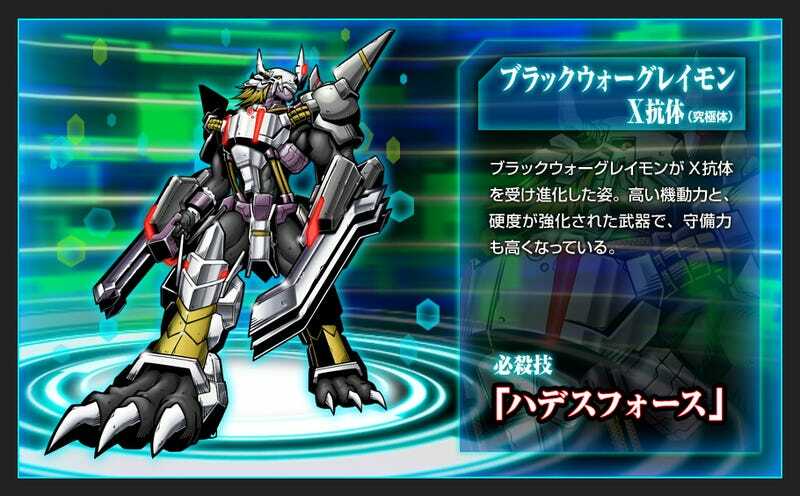 From old-school Digimons like Omegamon and Vandemon, to new original ones like the Upgraded WarGreymon and Dorumon. Click below for the official Digimon Re:Digitize website.